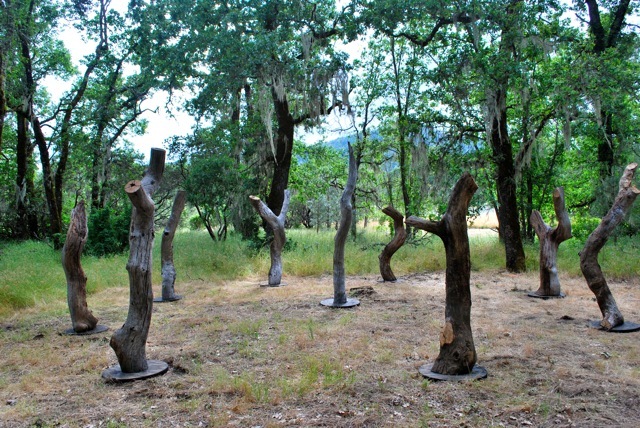 This sculptural installation invites us into the mysteries of circles in nature. The Circle is an invitation to experience and imagine anew the relationship between space & time, past and present, and to inspire a sacred partnership between humans and the natural world. The Circle, was created and defined as a sacred space, to reconsider and experience our deep and mysterious connection with nature. Visitors of the installation are able to walk around the perimeters and enter at any point into the center of the Circle, which serves as a portal from the physical to the non-physical or spiritual world. 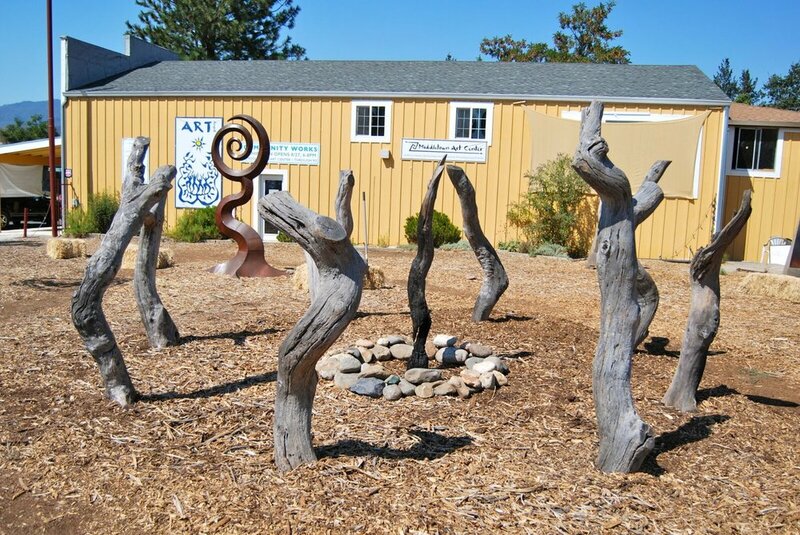 Collaborating with nature through art and ritual is realized in this art installation as an invitation for people to enter the mystery of the Circle. These encounters leave us transformed and renewed in a deep sense and experience of who we really are. The name 'Circle of Elders' also signifies reverence and an honoring of those who came before us. Ancestors who gathered in circles, as native tribes, wisdom keepers deeply connected to nature and honoring the cycles of life, death and rebirth. 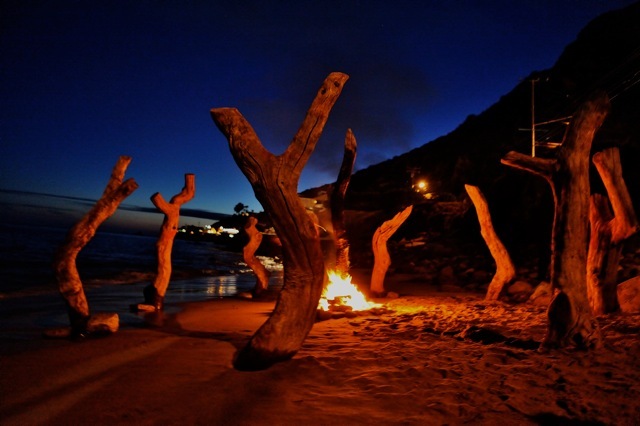 This art Installation and fire ritual is created and performed as a symbol for igniting the fire within as we observe, participate and experience the power of purification and transformation generated through destruction. The Circle of Fire serves as a powerful gateway for people to transition into a new alignment with their true and authentic self. To experience and to become one with the elements of nature (earth/water/fire/air) is an integral part of this art performance. 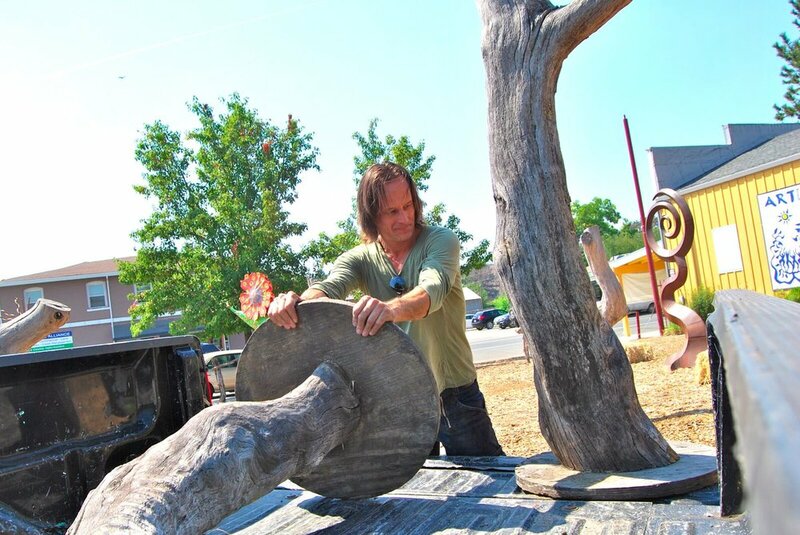 Social Sculpture: This performance was designed as a collaborative event where art, artists and participants become one to create a space to bring about a new consciousness that is arising as an opportunity for all of humanity at this time on planet earth. In this art Installation and final staging of the Circle of Elders the return signifies a larger circles that closes. The circle went through a process of death and rebirth and so did the landscape and region where the circle originated. The installation was part of the Ashes to Art Exhibition in September 2016 at the MIDDLETOWN ART CENTER and on view until May 2017.